[su_dropcap]A[/su_dropcap]n Egyptian man hijacked an EgyptAir plane Tuesday and forced it to land in Cyprus, where most passengers were eventually allowed to get off, though the crew remained on board, Egyptian and Cypriot officials said. A civil aviation official, also speaking on condition of anonymity because he wasn’t allowed to disclose details of ongoing negotiations, said the man gave negotiators the name of a woman who lives in Cyprus and asked to give her an envelope. It’s unclear what relationship she and the man have. Egyptian government spokesman Hossam al-Queish identified the man who hijacked the plane as Ibrahim Samaha. Al-Queish also told the private CBC TV network that authorities could not confirm that Samaha had explosives on him. An earlier statement from the Egyptian Aviation Ministry statement said the man claimed he had a belt with explosives. Officials at the Egyptian airport of Bourg el-Arab airport just outside Alexandria said Samaha, a veterinarian, is a dual Egyptian-American citizen. An EgyptAir plane flying from Alexandria to Cairo was hijacked and forced to land in Cyprus on Tuesday by a man with what authorities said was a fake suicide belt, who was arrested after giving himself up. The passengers and crew were unharmed. Eighty-one people, including 21 foreigners and 15 crew, were on board the Airbus 320, Egypt’s Civil Aviation Ministry said in a statement. Conflicting theories emerged about the motives of the hijacker, an Egyptian. A senior Cypriot official said he seemed unstable and the incident did not appear related to terrorism. The Cypriot state broadcaster said he had demanded the release of women prisoners in Egypt. In the midst of the hijack, witnesses said he threw a letter on the apron at Cyprus’s Larnaca airport, written in Arabic, and asked that it be delivered to his Cypriot ex-wife. 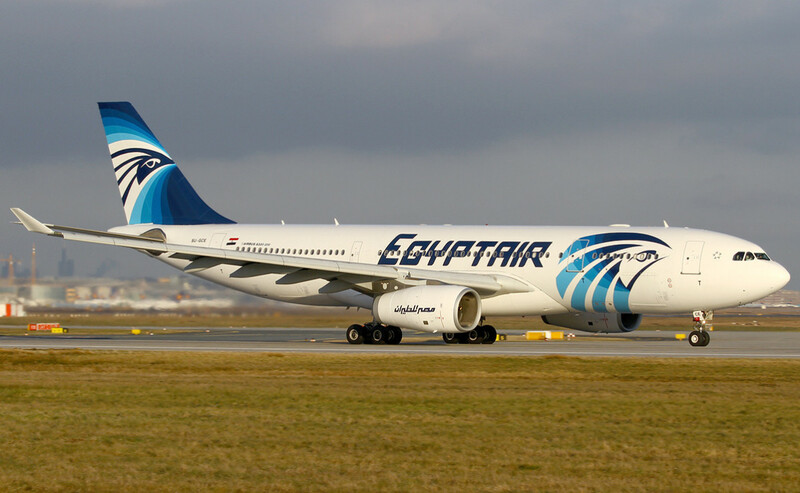 After the aircraft landed at Larnaca, negotiations began and everyone on board was freed except three passengers and four crew, Egypt’s Civil Aviation Minister Sherif Fethy said. Soon afterwards, Cypriot television footage showed several people leaving the plane via the stairs and another man climbing out of the cockpit window and running off. Cypriot Foreign Minister Ioannis Kasoulides said the hijacker had threatened to blow himself up and demanded that the aircraft be refueled and head to Istanbul. “It looks like he realized his demands would not be met, allowing the last two hostages, Britons, to flee the aircraft. He also tried to leave, running out. He was arrested,” said Kasoulides. Egyptian Prime Minister Sherif Ismail said the hijacker would be questioned to ascertain his motives. “At some moments he asked to meet with a representative of the European Union and at other points he asked to go to another airport but there was nothing specific,” he said.